We have known this young French guitarist with Gabriel Bianco and its participation in the Eclisses Quartet. He belongs to the young generation of French very talented guitarists giving the French school of guitar world fame. 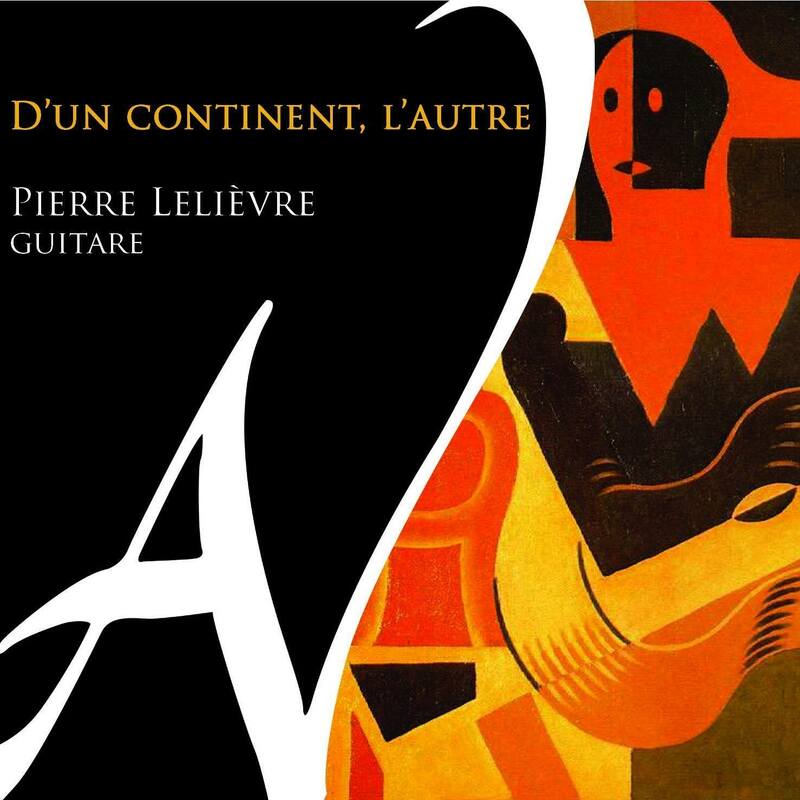 Pierre Lelièvre released his first solo album "D'un continent, l'autre" in March 2016. With a diversify and perpetually evolving repertoire Pierre Lelièvre is regularly invited to play in Paris and in the provinces where he performs solo, with orchestra or in various chamber music ensembles. Pierre begins guitar at the age of 5 years with Jean-Yves Lemaire with whom he will stay until obtaining his prize. He chose to pursue his studies in Paris at the faculty of musicology of the Sorbonne (Paris 4). At the same time, he entered the Conservatoire de Créteil in the class of Jérôme Bénézet and was admitted to the Conservatoire National Supérieur de Musique in Paris in the class of Roland Dyens. He perfected himself under the guidance of the concertist Judicaël Perroy. In recent years, he has given a multitude of recitals, in Nevers, where he was born, at the International Guitar Festival of Paris 2011 and 2012 and more recently a series of concerts in Spain in the Valencian region. Pierre also collaborated with the tenor Vincent Lièvre-Picard during the Laval Opera Festival, the mezzo Amaya Dominguez during the Festival Harmonies Estivales and his first album D'un continent, l’autre was launched in March 2016 with the label Ad Vitam records (Harmonia Mundi distribution). His distinctions in international competitions are various: Award of the best performance of the work demand at the Antony International Guitar Competition in 2012 for "The Delights of Jetlag" (R. Dyens), 4th Prize at the International Competition Robert J. Vidal in Barbezieux in 2009 and 1st prize in the national competition of Ceyzériat in 2010. With the guitarists Gabriel Bianco, Arkaïtz Chambonnet and Benjamin Valette, he founded the Eclisses quartet in 2012. First prize of the FNAPEC competition and winner of the Banque Populaire Foundation, the Eclisses quartet performs on stage worldwide (USA, Mexico, Jordan, Indonesia, Romania ..), the Châtelet Theater in Paris and Many festivals in France (Flâneries de Reims, International Guitar Festival of Paris, Guil Durance, ...). The second album Ad Vitam records, launched in 2015, gives arrangements of works for piano or orchestra by the great masters of the late 19th century (Debussy , Ravel, Faure, Saint-Saens).